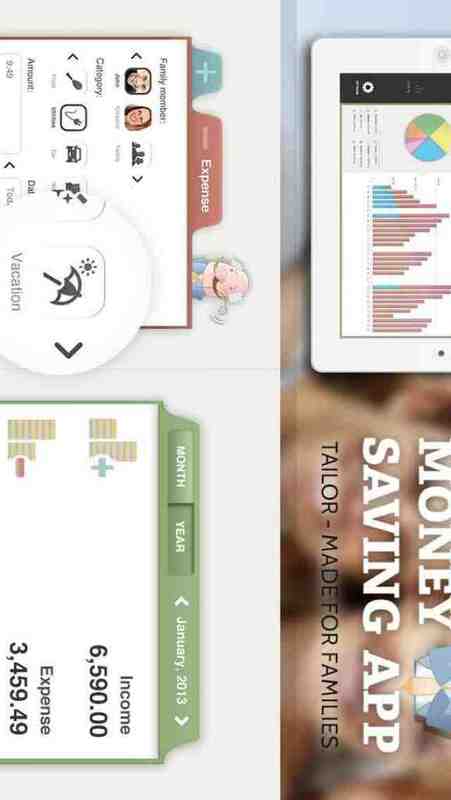 income.io is a money saving iPad app specifically made for families. The idea for the app came out of our frustration with inability to find the app that can help you track your family finances easily. Most of the apps we've seen were too complex, not that pretty and user friendly. We use the app ourselves and we are glad to receive your feedback, both positive and negative, so do not hesitate to contact us with your ideas and suggestions. Income.io was created with a vision to be simple, yet no simpler than that. Every family member should be able to use it(kids included). Using the app is supposed to raise conscience of the whole family of how important it is to track your finances and be able to save more money in the process. Shortly after you start you should be able to precisely answer the question "Where is my money going?" Some of the apps main features are the big picture of your finances on the home screen, so you can have easy overview as soon as you start the app, you can add custom income/expense categories, notes and comments. Statistics breakdown by category or family member is available, so you can, compare money spent on a certain category to overall spending and come up with a saving plan that works best for you. You can protect the app with a PIN code and make sure your data is private and visible only to you. Our little friend Alfred, your own personal financial adviser, will be there for you from the beginning to introduce you to the app and track your progress. Your first goal is to develop a habit of tracking finances. Alfred will give you feedback and advice along the way so you can go from ignorant spender to the master of tracking in no time.